Take credit cards & eChecks. GET PAID FASTER WITH PANTHER PAYMENTS. Don’t get audited. Get compliant. Get paid to your trust account. PANTHERPAYMENTS is powered by LawPay, the most trusted and recognized merchant processor approved by the ABA. The IOLTA guidelines require separation of earned and unearned fees. When a retainer payment is made to your trust account, the fees will only be taken from the operating account. 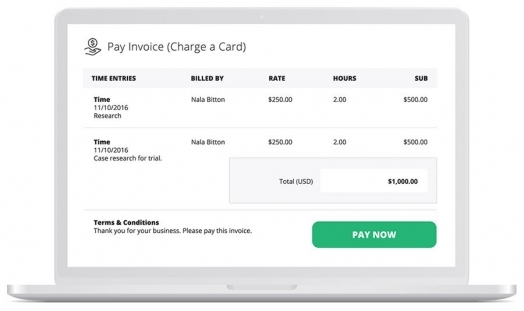 Automatically send unlimited payment reminders before an invoice is due or overdue. 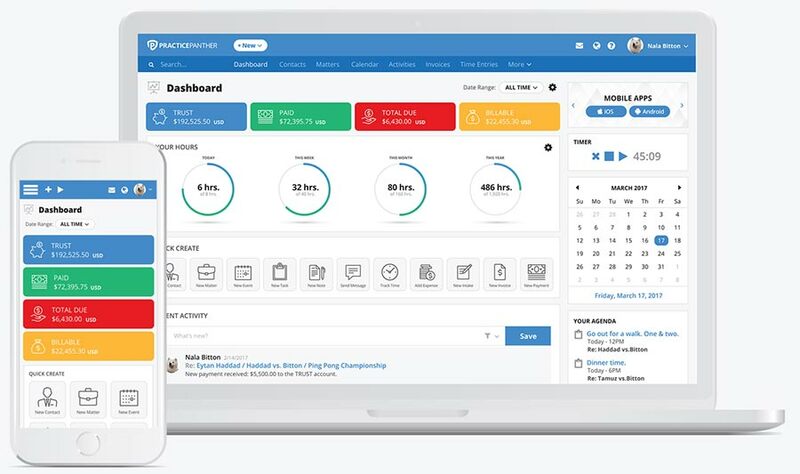 Get paid faster and save time chasing your customers. Your clients can pay from their phone! Start making money this week! No credit card needed. Straight forward rates. No hidden fees. No trust accounting. Funds need to be transfered manually. Accept any credit card. Request trust payments. Get paid by most major credit cards including Visa, MasterCard, American Express, Discover, and more. Accept retainer payments into your trust account. + What if I already have LawPay? Great! All you need to do is login to PracticePanther, click here, and connect your existing account. Easy! The monthly fee promotion is only for new LawPay members only. + How do trust account payments work? Your clients can make a retainer payment to your trust account. The full balance remains in your IOLTA trust account and the processing fees get taken out from your operating account at the end of the month. This keeps you 100% compliant to the ABA and IOLTA guidelines. + Are you PCI compliant? Yes! 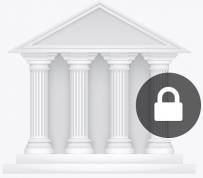 Our partners at LawPay manage PCI Compliance on your behalf at no additional charge. PCI Compliance is a set of guidelines for protecting credit card data ─ the Payment Card Industry Data Security Standard. + How is PantherPayments different? 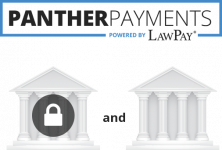 PantherPayments is powered by LawPay, the premiere credit card processing company for attorneys, highly recognized by the ABA, and a partner with over 90 bar associations across the country. We make it extremely simple to get paid online with some of the lowest processing fees. You can get paid faster, see how much was earned, and stay compliant with the ABA and IOLTA guidelines. + Are there any contracts? Of course not. We never believe in contracts so you’re always free to do what’s best for you. + When does the money enter my account? We want you to get paid FAST which is why it generally takes only 24-48 hours to go into your bank account, excluding weekends. + Do you comply with the ABA IOLTA rules? We keep you 100% compliant, guaranteed. IOLTA guidelines and the ABA Rules of Professional Conduct require attorneys to accept credit cards correctly. We guarantee complete separation of earned and unearned fees, giving you the confidence and peace of mind that your transactions are always handled the right way. + Will I ever pay a monthly fee? For a limited time only, PracticePanther will cover LawPay’s monthly $20 fee for new customers as of February 01, 2017. If you are not using LawPay after 6 months, and not processing any credit cards at least once a month, we will offer you to either close the account, or pay $20/month to keep it open as there are costs for us to keep it open if you’re not using it. + What are the rates of all my options? If you’re used to working with PayPal & Stripe, you’re used to being charged at least 2.9% plus $0.30 USD per transaction. With PantherPayments, the rates are as low as 1.95% for most VISA, MasterCard, and Discover cards, and up to 2.95% maximum for certain specialty cards and American Express, with only $0.20 per transaction. Certain card brands have minor fees which they may adjust in the future. Overall, the average attorney can save thousands each year with PantherPayments depending on the amount they charge. + How are chargebacks handled? We recommend adding a chargeback policy on your engagement letters with your clients. Then you can generally have the chargeback reversed by showing this documentation, along with verifying that the work was completed for the client. + Can I charge my clients a processing fee? Visa, MasterCard, and certain card brands allow this since 2013. Please check however with your local state laws. Many firms typically work the additional cost into their fees which is recommended as the best way to handle this. + Can I put a payment button on my website? Yes! You can put any button or design you want and just link it to your custom payment page. Once your customer clicks, they can pay you instantly.